With the release of The Dark Knight today we wanted to take a moment to use superheroes to introduce you to the ACC. Currently the ACC stands for Almost College football Conference, however with the power and recognition of these heroes we hope that this conference becomes relevant once more. Florida State - Superman. Once the gold standard in college football and in the hearts of all children. The use of kryptonite by their arch rival makes them blow it in the last minute. Every super hero dies eventually. 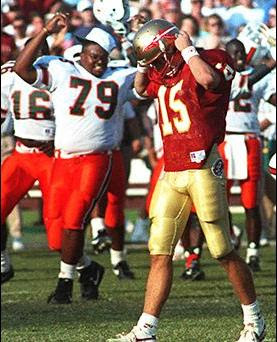 Seminole fans hope that new coach will revive program as new technology revived hero. Miami - Lex Luther. Both wear classic trademark characteristics on their heads, baldness and "the U." Successful and hated by many. Serves as Superman's arch enemy. It is rumored that his kryptonite made Superman's kicker go "wide right," even "wide left." NC State - Planet Krypton. Much like the terrestrial sphere once Superman, or Philip Rivers, left they exploded and now cease to exist! Not even the squeaky voice of "offensive genius" Chuck Amato could elevate this program to real superhero status. UNC - Hancock. A team so terrible and disrespected that they had to go out and find someone to right the ship. We will see if Butch Davis will be this program's Ray Embrey. Boston College - Spiderman. Without a uniform this program, school and hero is overlooked in its own town. This smart, nerdy, small kid has proven himself with some Herculean, dare we say, "Heavenly" achievements. Hail Flutie anyone? Duke - Invisible Woman. Have an affinity for the color blue. Just as the super hero, Duke football is invisible on a campus that has other "fantastic four" members - men's basketball, lacrosse, and women's basketball. It would take a brilliant Duke grad to truly figure out the depth of their powers. Unfortunately Cutcliffe went to 'Bama. Wake Forest - Daredevil. Disabled by a lack of tradition, small student population and living in basketball country, yet they still found a way to win the ACC championship and a BCS bid. Just proves the old saying true, "even a blind squirrel, or superhero, finds a nut every once in a while." Maryland - Teenage Mutant Ninja Turtles. We recognize that this is not a traditional superhero, however is Maryland really a traditional football school? 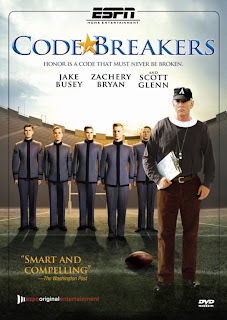 New coach/movie have tried desperately to revive program. 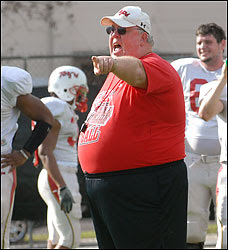 Just take a moment out of your day and think about what Ralph "The Fridge" Friedgen would look like in a turtle costume. Virginia Tech - X-Men. Like the X-Men, "Hokie Nation" have their own professor in Frank Beamer. It is rumored he has an extra brain. A brain so powerful and telepathic that it can predict the offenses' next move. Success lies in capitalizing on the strength of their defense. Clemson - Two Face. The fan favorite to win at the beginning of the year, but in the end they come up bad. When faced with a difficult opponent it seems they flip a coin to determine how well they are going to play. Virginia - Ironman. Educated, rich, well dressed. What else would you expect from Jefferson's school? Spend copious dollars on equipment, coaches and facilities, but just can't get it put all together to become THE superstar. Georgia Tech - Underdog. Not as popular as the real "Dawgs" in GA, but at least they have TV "redneck" Earl as their voice over. Paul Johnson's option offense is taking the team back to a time when they were both once relevant. Army - Captain America. Rooting for them makes you feel patriotic. Extremely relevant in the 40's and 50's, now nonexistent. Out of date attacks (throwing a shield/option offense) don't work against this eras opponents. Captain America, "Where is your movie?"